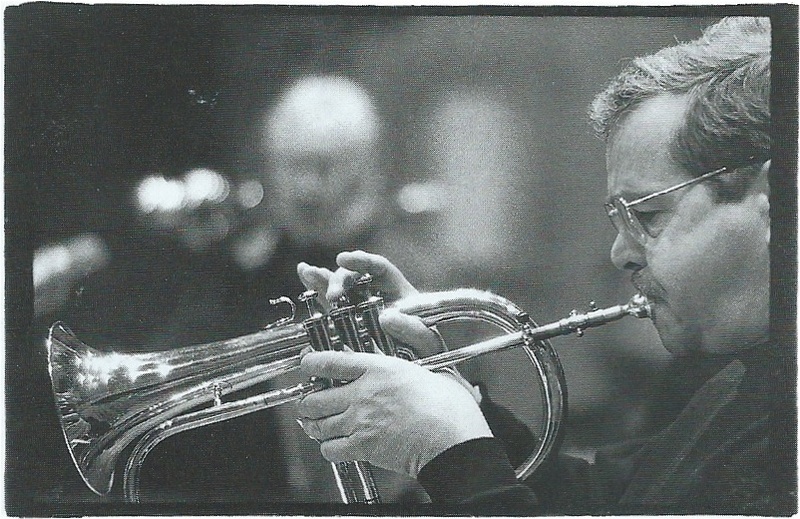 Few important musicians have made more noise with less fuss than the trumpeter, flugelhornist, composer and bandleader Kenny Wheeler. A vital figure on the British scene since his arrival in London from his native Canada in 1952 at the age of 22, he emerged from early employment with dance bands to create a reputation that flourished despite a temperament for which such words as “modest” and “retiring” seem entirely inadequate. Problems with his own and his wife’s health have meant that, at the age of 84, Kenny has been unable to play for some months. For his benefit, his old friend and colleague Evan Parker has organised a concert tomorrow night — Friday, August 15 — at a place called Epic, 13-15 Stoke Newington Road, London N16 8BH (admission £12-£10). A stone’s throw from the Vortex and Cafe Oto, the gig will feature the altoist Ray Warleigh’s quartet, a group with Parker, Steve Beresford, Olie Brice and Mark Sanders, the Alison Blunt Ensemble (including the violinists Dylan Bates and Phil Wachsmann), and Reuben Fowler’s big band playing some of Kenny’s charts.